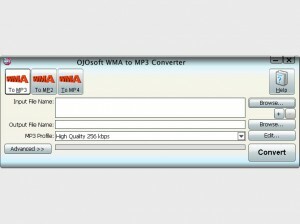 Change the WMA bitrate in one click at high speed and quality! 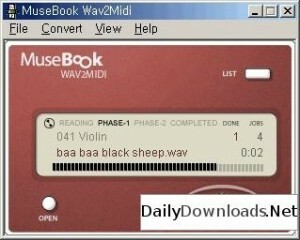 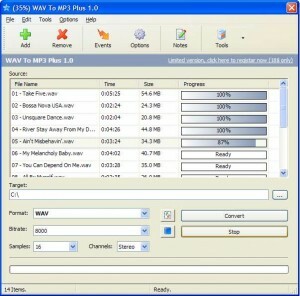 Converts WAV files to MP3 files with unbeatable speed. 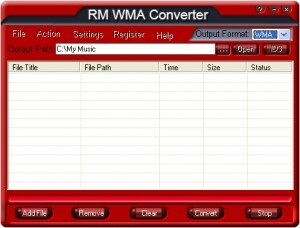 A smart audio converter allows you to convert WMA to MP3 with super fast speed. 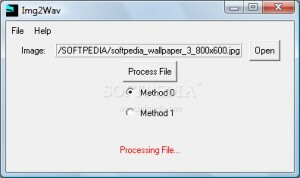 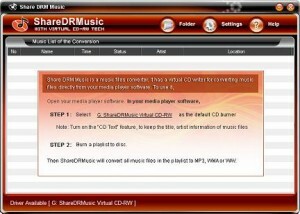 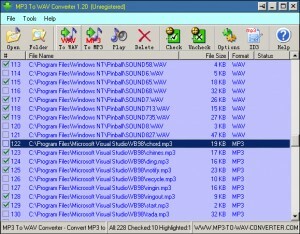 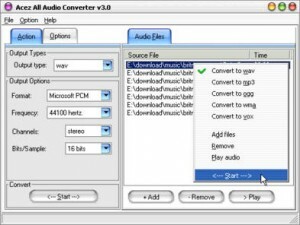 Convert many audio formats to mp3 and vice versa. 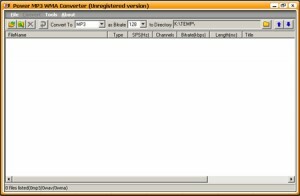 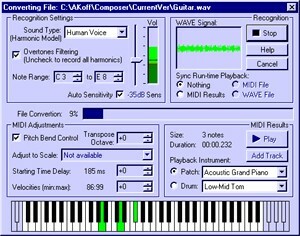 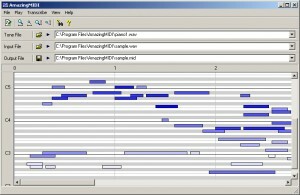 Multithreaded batch converter that will convert wav to mp3 and mp3 to wav. 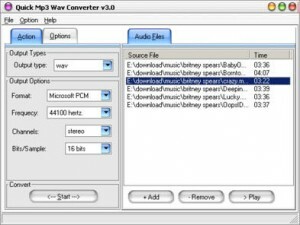 One-way converting from MP3 to WAV format. 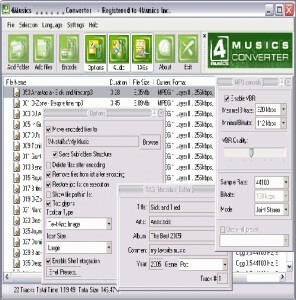 All in one converting ripping burning tool. 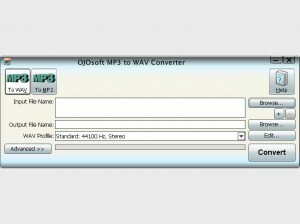 One-way converting from MP3 to OGG format in one click at high speed! 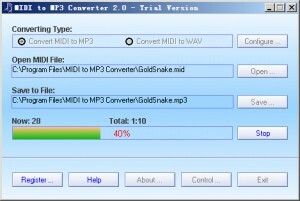 It also allows you to convert MP3 to MP2. 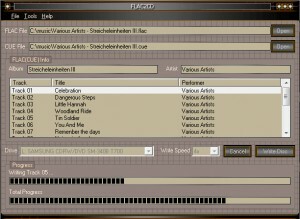 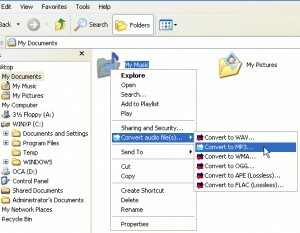 Convert audio files on your computer to MP3, Ogg, APE, Flac or WAV format! 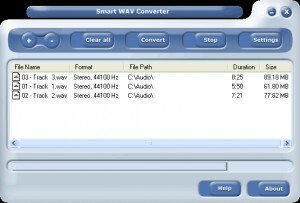 Can help you convert between popular audio formats. 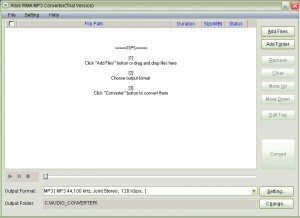 Easily convert mp3, aac, wma/aiff, mp4 to m4r for iphone. 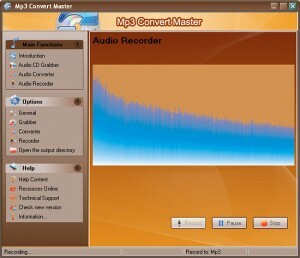 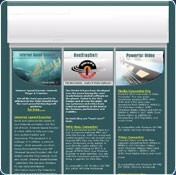 Will make professional quality conversions to and from the most common audio formats. 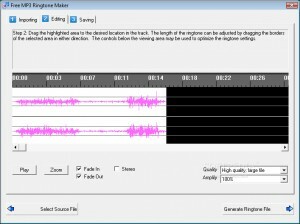 This tool is an optimized MPEG Audio Layer 2 encoder. 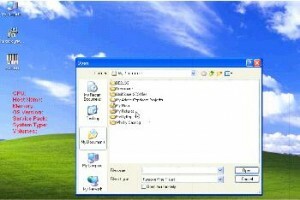 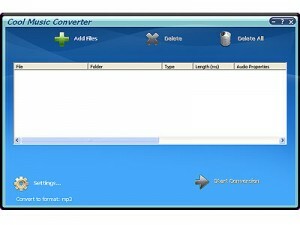 An excellent audio converter which can help you convert between popular audio formats. 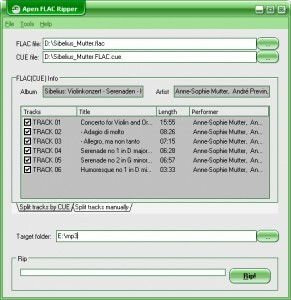 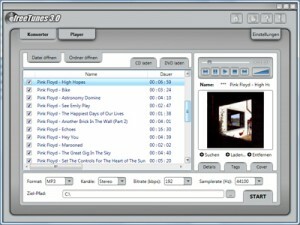 Create high-quality ringtones from your MP3 music library with ease. 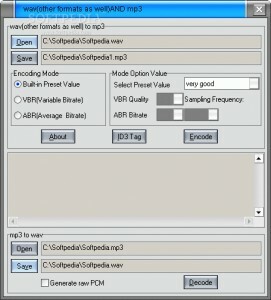 A simple tool that will help you convert JPEG to WAV. 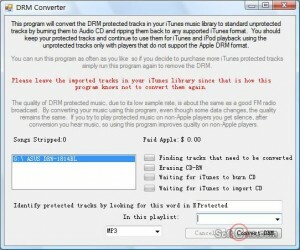 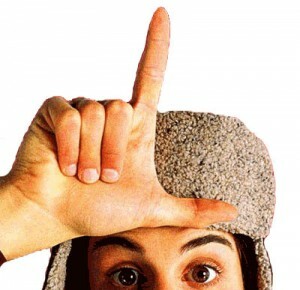 Legally copy all your DRM protected music!